Alex Hendley and James Sproston wander non-league in search of entertaining football, decent scran and some fantastic tram journeys. The Non-League Wanderers make the journey northwards to Limeside, Oldham to visit the historic AVRO FC. Two pies, a VIP lounge and swirling rain defined the night, and the lads were sent home for an early bath. The 60-second fact fury makes its debut and, in the Besses, Mick McGaffer hatches a revenge plan. Alex Hendley and James Sproston go from ashes to Ashton United as they finally make their first non-league trip of 2019. Sightings of Charles Dance, Stu Pickles and some dogs were highlights of this adventure. Also in the episode, the Besses Archers, Non-League News and more! Multiple attempts to go to games in both the North West and North East were thwarted by the Beast from the Weaste, so the NLW bring you all of the features you love without the burden of us rambling on during the usual match report. This week, the NLW delve into the tenth tier of English football for Maine Road v Vauxhall Motors. On the podcast is the adventure report, some Non-League News and the Besses Archers Christmas special. Following a North-East party that ended in the shed, one half of the Non-League Wanderers took a trip to watch South Shields FC with Main Stand Musings boss Dan Haygarth. Also in the Special Episode is a trip to Platform 9 3/4, the second episode of the Besses Archers and some Non-League News. As we get worryingly near to the precipice that is the end of Star Wars titles, join us for yet another voyage into the Non-League unknown. Except, it's not actually unknown, because we're back at Salford City. Sorry. Added extras: Who Am I?, a brand new drama 'The Besses Archers' and more. This Special Episode, which in name confusingly slips between Episodes III and IV, but in chronology is BRAND NEW, the Wanderers are joined by Sam Carney, reporting on the FA Cup First Round. Who Am I?, a fan letter and some questionable beer promotion are all squeezed in. Enjoy. Alex and James jump on the tram to the Tameside Stadium, where Curzon Ashton hosted an unfathomable token-based system, pie fondling and Stockport County. Who Am I, the Nonleagerboard and Non-League News also feature. 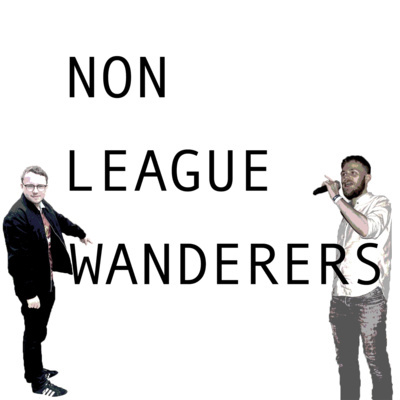 In this episode, the Wanderers look back on their trip to Stockport County v Nuneaton Borough, Jimmy Gannon's mistaken identity and the Great British Banter of Vernon the Bear. There's also the latest instalments of Who Am I?, Non-League News and even a fan letter. This week NLW newcomer and friend of the show Louis Ainley was our correspondent in the North East. Sampling the delights of Dunston v Gateshead in FA Cup Qualifying, the report slots in nicely between Episodes II and III. Extra content includes Non-League News, a Gateshead Old Boy and a Sean Scannell lookalike. In the first outing for the Non-League Wanderers, Alex Hendley and James Sproston made the long walk to the Peninsular Stadium for Salford City v Maidstone United. Also included: Who Am I?, Chris Smalling, and an ad from our sponsors. In Episode II, the Wanderers head to Moss Lane and the J. Davidson Stadium for Altrincham vs Alfreton Town. There's another Who Am I?, some Non-League News and a hell of a lot of tangents. Enjoy!